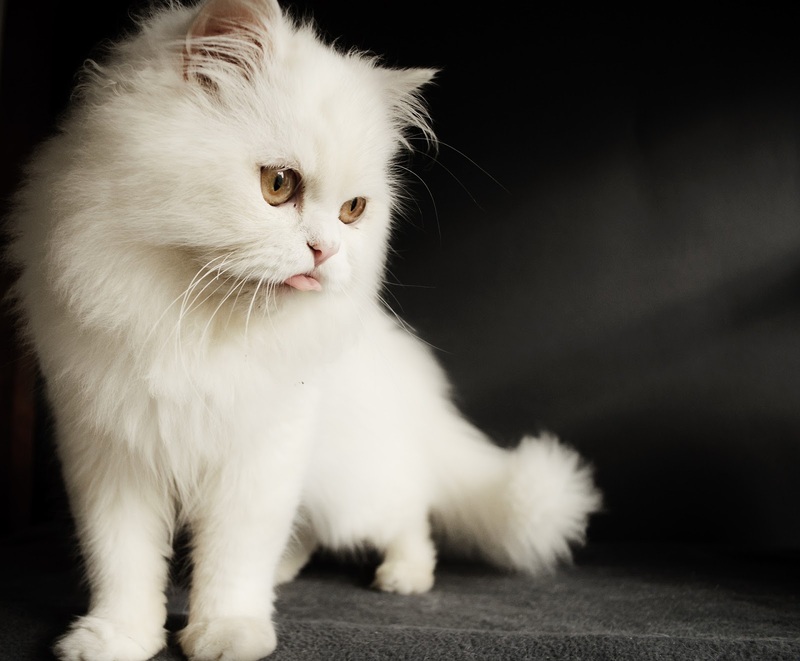 These days , persian cats are among the most popular breeds of cat . well known for their gentle and sweet personalities and their long hair , persian cats have very attractive features . they are great companions for virtually anyone , and not very demanding . Unlike other breeds, such as the siamese breed ,persian breeds need very little attention . Although white is the color normally associated with persian cats , they actually come in a variety of other colors as well .during competitions , they are divided into seven color divisions : solid , silver and gold , tabby , shaded and smoke , particolor , bicolor and himalayan .no matter what color of persian cat it may be they are best noticed during competitions by their long and flowing coats . persian cats shauld always be kept inside of the house , to protect their coat . if they travel outside , they can easily damage their coat .they will also need to be brushed daily with a metal comb , or their coat can become tangled , which will lead to hairballs . You'll need to bathe your persian cat on a regular basis as well , to help protect his coat . bathing works best when the cat is young ,as it will get him used to it . bathing should never be overlooked , as it will keep your cats coat looking clean and healthy . although some breeds can maintain their coats on their own , persians can't . Their fur is long and dense and you'll need to groom them daily to ensure their coat stays healthy . The persian breed is gentle and sweet , getting along great with everyone ; including Kids , they have a pleasant voice that is always good to hear , using their voice and their eyes , they can communicate very well with their owners , they are very playful , yet they don't require a lot of attention , they love attention however , and love being admired , unlike other cats , they don't climb and jump much at all , they aren't destructive either ; they just love being admired and lyring around . 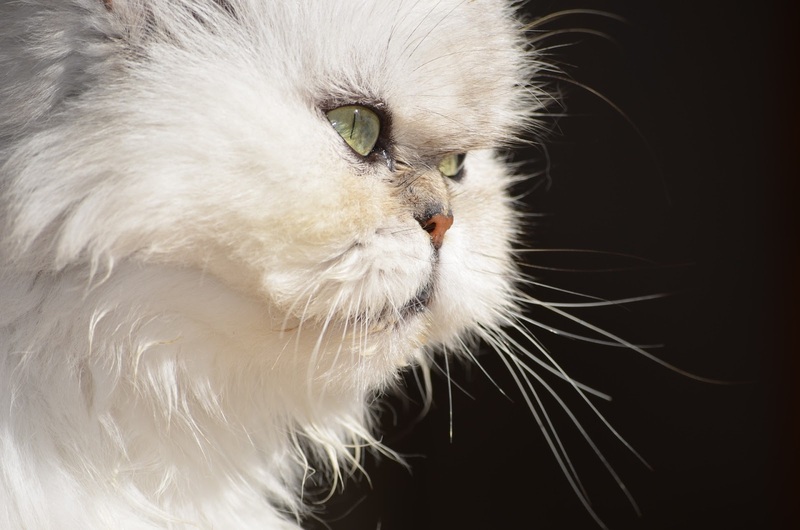 a majority of the time , persian cats love to back in the sun and show others just how beautiful they truly are . Although most breeds can be kept indoors or outside , persian cats should always be kept inside and never allowed to go outside of the house . keeping them inside with protect their coats and also keep diseases and common parasites away from them as well . you won't have to worry about cats or dogs either if you keep your pet inside . To ensure that your persian pet stays healthy , you should always take him to the vet on an annual basis . If cared for properly , such as grooming , shots , and checkups ,persian cats can live as long as 21 YEARS . one thing you'll need to be aware of that's common with persians is their eyes their eyes are very very big and can sometimes be too mush for the cat to clean . This is a common healthy problem with the breed , and should be checked on a regular basis to ensure that it doesn't get out of control . When you compare persians to other breeds , You'll notice that the persians are among the easiest to Keep You don't have to worry about things like jumping or climbing , as persians don't like to do either . = it's well worth it when you have a healthy an beautiful persian cat .